FX's description has already revealed that the story for this new series will feature an all-new "true-crime" tale, which will center on Lester Nygaard (Martin Freeman), a Minnesota nice-guy and small-town insurance salesman whose path crosses with Billy Bob Thornton's Lorne Malvo, "a rootless, manipulative man." Fargo's "story" trailer revealed Lester and Lorne's meeting, during which Lester reveals that he's getting picked on and Lorne mentions killing someone that would treat him that way. 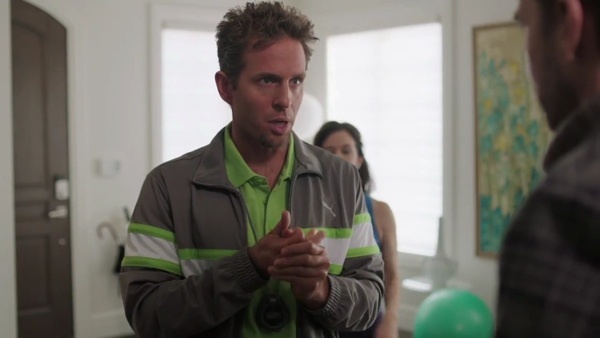 The new trailer suggests that maybe Lorne thinks Lester wants him to kill this guy. Or maybe Lorne's trying to convince Lester that's what he wants. Either way, there's definitely an interesting and possibly crucial exchange happening here with these two characters. With language like that, it makes you wonder what he found down there! Also among the cast are Kate Walsh (seen blubbering again), Allison Tolman, the ambitious Bemidji deputy Molly and Adam Goldberg's "Mr. Numbers." 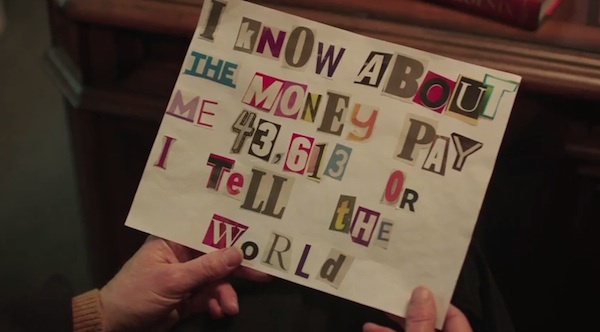 Finally, because I think it's funny, there's a scene in the new trailer that shows Thornton looking at what appears to be an old-timey blackmail letter, "written" in cut-out newspaper and magazine clippings, which I can't imagine many people actually do anymore when they demand ransom money or are blackmailing someone. Trying to figure out the significance of the number, which Thornton's character seems amused by, I'm wondering if maybe whoever made the letter could only find those specific numbers when they were cutting out the characters, resulting in that very specific demanded fee. Or maybe that's exactly the amount of money they need for something. That would be less funny but probably more interesting, so we'll have to see what the story is there. We'll get the story beginning April 15 when Fargo premieres on FX!